Data-driven journalism has gotten a lot of attention of late thanks to the prognostication prowess of predictors like Nate Silver. But thanks to Netflix, the concept of data driving what you watch has achieved true en vogue status. 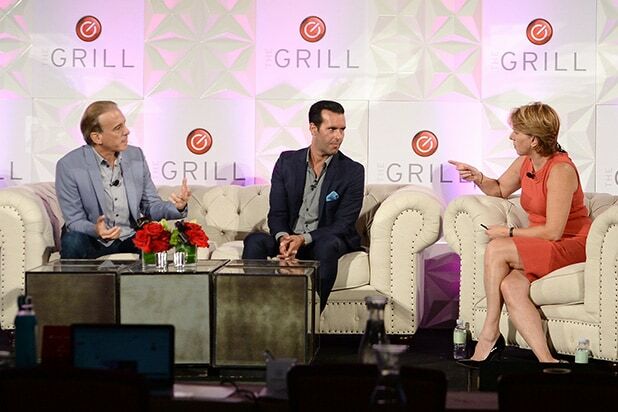 “Big data can help you, like a GPS system, triangulate the location, but it can’t help you decide what to build there,” Endemol Shine North America co-CEO Charlie Corwin said at a panel on the relationship between data and storytelling on Tuesday at the 2016 edition of TheGrill, TheWrap’s annual entertainment and media conference at the Montage Beverly Hills.” Obviously it would be nice if data told me what would be a hit,” he added. Gunpowder & Sky is just beginning its journey into developing content. Toffler and G&S president Floris Bauer, formerly of Endemol, co-founded the company in January. The company recently snapped up distribution company FilmBuff and expanded its executive team with hires from YouTube, MTV and Meerkat. Endemol Shine began as a traditional player that has since expanded into digital, creating digital network Endemol Beyond, and now producing the next season of “Big Brother” exclusively for CBS’ subscription service CBS All Access. It’s currently developing a “Talented Mr. Ripley” series written by “Luther” creator Neil Cross. Endemol Shine also produces pitch-dark anthology series “Black Mirror.” The show has flipped from a first-run on BBC’s Channel 4 and a second-run on Netflix to a Netflix global original series — the company has opted to simply distribute the show via Netflix the first time around. “How does our current borderless world affect the format question?” Corwin asked, bringing up “Black Mirror” as an example of a show that doesn’t need its format exported — the British version is what the people want. “More and more ‘that UK show’ is already here,” he added.